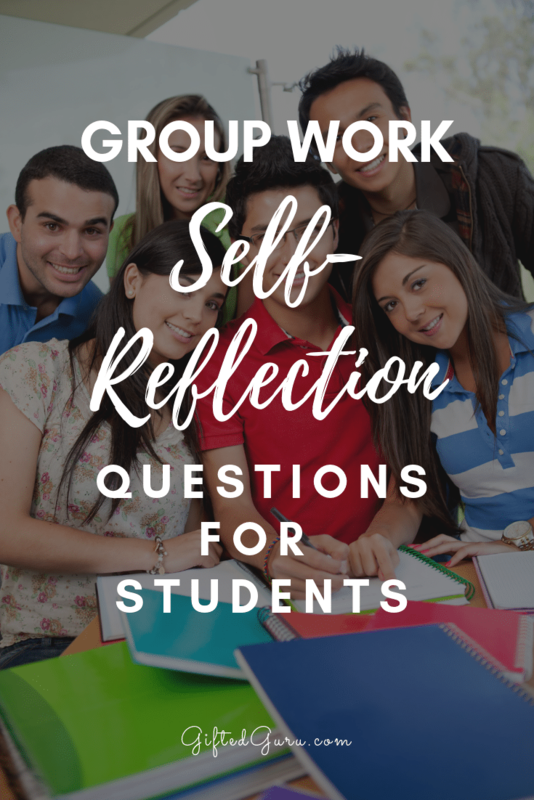 Group work self-reflection questions for students are a key factor in effective group work and a best practice for teachers using small groups. When students work in collaborative groups, it’s critical to have self-reflection questions for them to consider when the group work is done or you risk wasting terrific, real data. 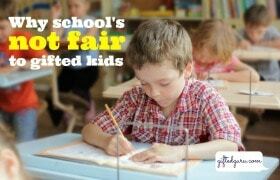 I’ve written about how to get gifted kids to work in groups, and this is one more step towards best practice. Working in a group is more than just about the work. It’s also about the group, and if we don’t allow for self-reflection of that group work, we ignore a large part of what it was we were trying to teach. 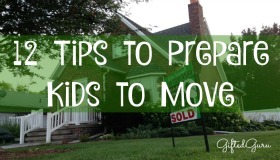 We also make it more likely that they will make the same errors over and over again when working in groups. For the teacher, reading these self-reflection responses can give us information that will inform our assignments of students into groups, as patterns will develop that we can use to tell which students will be most likely to work well together. I don’t use all of them on any one assignment! I choose two(ish), depending upon the assignment and its length. Not every student responds to the same questions. Sometimes I give choice, and sometimes I assign different questions to different students. The questions sometimes depend upon the students’ role in the group, meaning that some are specifically for those who were leaders of the group and some are for those who were not. By giving different questions after different projects, I can make the questions targeted to the assignment, and the experience doesn’t become “samey” for the students. Responses to these questions are not graded for content, only thoroughness. No naming of other students is allowed in a critical way. If they have an issue with a specific student, I have them put an asterisk next to their response, and I will follow up with them privately. I do this so that if the graded paper falls into the wrong hands it doesn’t cause more contention. When you see the word “I” in the question, it means me, as the teacher. How do you think you did working with this group compared with groups you’ve worked with in the past? If you were to work with this same group again, what is one change the group could make to work together more effectively? What was the greatest challenge you had as a group? On a scale of 1 – 10, 10 being best, how well do you feel you demonstrated respect for the opinions of others in the group? What is one change you could make in the way you listen to others that would improve your effectiveness in working in a group? How would you rate yourself, on a scale of 1 – 10, on how well you were willing to agree with group decisions? What could you do to move yourself up a number on that scale? What was the hardest thing for you personally about working in this group? Was this group easier or harder to work with than groups you’ve worked with in the past? Was the group the right size for the task, or would it have been better larger/smaller? Do you feel that you accepted the final selections of the leader of the group with grace? As the leader of the group, how did you show respect for the different opinions of the members of the group? How balanced do you feel the efforts of the group members were? As the leader of the group, what were your greatest challenges? If you had done this yourself, would the outcome have been better or worse? Would you like to work with this same group again? Was there one person who added more than his/her share to the group? If you could pick one person in the group to whom to give a specific compliment about their work in the group, who would it be and what would you say? In what ways was the group more effective than an individual working alone would have been? Did I divide the responsibilities within the group fairly? Did the role you were assigned fit your strengths? Would you like to fill this same role in a future group project? How would you do an even better job next time? If you could have had a different role in the group, what role would you have wanted? What took the most time deciding as a group? Why do you think it was a challenging decision? Did I give you adequate time to get to know each other and come together as a team? Thinking of the class, choose four other people who would be your “dream team” group. What is one skill you have that you feel really benefitted the group? What is one skill you have that you feel wasn’t really used in this project? Do you harbor any resentment over anything that happened or didn’t happen in the group during the project? When did your group come to a grinding halt or when were you tempted to just take over? In what ways did the group work better/worse than it did in previous projects? What does your group do more quickly than it used to? What are the challenges your group still faces that just don’t seem to be improving? Why do you think that your group struggles with _______? What changes should I make to make it easier for groups to work effectively? What should I know about you to make it easier for you to work in groups? I always feel vulnerable when I share things from my real, live classroom. I hope you find these questions useful. Student responses transformed the way I ran groups, and I think they can benefit all teachers.